The 2017/18 season of world-class dance, music and theater continues as the Wallis Annenberg Center for the Performing Arts (The Wallis) in Beverly Hills, CA presents its third annual Winter @ The Wallis series. This year, Winter @ The Wallis programming grows to eighteen events to be performed in the Bram Goldsmith Theater and the intimate Lovelace Studio Theater, beginning on Saturday, January 6 with the classical music duo, violinist Sarah Chang and pianist Julio Elizalde. Other highlights include: The Wallis debut of the L.A.-based dance company Lula Washington Dance Theatre; a weekend celebrating the great jazz legend Arturo Sandoval along with other local jazz artists; the modern music collective wild Up under the baton of founder Christopher Rountree; the return of the innovative United Kingdom-based theater company Kneehigh with The Flying Lovers of Vitebsk; and the world premiere of Tom Dugan's Jackie Unveiled. "The Wallis is here to present dance, theatre and music events that surprise, entertain and inspire," said the organization's Artistic Director Paul Crewes. "This winter, we invite our audiences to enjoy these world-class performances and stay afterwards to socialize with our artists in our bar." Single tickets for Winter @ The Wallis programming are now available from $20 – $125. For more information or to purchase tickets, visit TheWallis.org, call (310) 746.4000, or stop by in person at the Wallis Annenberg Center for the Performing Arts Ticket Services located at 9390 N. Santa Monica Blvd., Beverly Hills, CA 90210. Ticket prices subject to change. Every year, Young People's Chorus of New York City changes the lives of 1,700 children through the power of song. You make it possible. As 2017 comes to a close, please consider giving the gift of music to our young people in 2018. As the year draws to an end, I look towards the future and all the promise it holds. In a star-studded season, one of the brightest lights for me was the formal debut of PBO's partnership with the Julliard School's Historical Performance program. I've played with Philharmonia since 1992, and taught at Juilliard since 2009. Many of my dear colleagues at PBO teach and coach at Juilliard as well. Gonzalo Ruiz with J415 students Caroline Ross and David Dickey in 2015. Even before this partnership began, PBO was already hosting Juilliard students in intensive workshops alongside our professional musicians. It has been a great joy that some of my students from those early endeavors have already graduated on to pursue exciting careers. David and Caroline, who played by my side in the very first joint PBO/J415 performance, have quickly become valued colleagues I enjoy playing with on both coasts. I can only imagine all we can accomplish with a flourishing PBO/J415 partnership in the years ahead. What greater pleasure than to share the stage with the stars of tomorrow? Please help PBO invest in the future by raising a final $5000 by Friday. Thank you for the privilege of performing with PBO, and for your support of the next generation. 2017 is rapidly coming to a close and the coming year promises to be a busy and fun one for the SOLI Chamber Ensemble. We are on the eve of our 25th Anniversary Season, and you have been an integral part of our success over the years. If you already supported SOLI this season, we THANK YOU, but if you haven't had the chance yet there is still time to do so. Give now to directly support our mission of bringing you our innovative performances of exciting new music by living composers, and guiding the emerging generation of musicians through our commissioning and education programs. Leonard Bernstein's compositions span classical, Broadway, jazz and pop music idioms with a singularly American voice. TDSF Director George Hanson has curated a festival that draws from every aspect of Bernstein's compositional range, from large to intimate works, featuring, films, lectures, symposiums and master classes. Highlights include a fully-staged production of Bernstein's comic operetta Candide (in partnership with Arizona Opera); Trouble in Tahiti (in partnership with the Tucson Symphony Orchestra) featuring mezzo-soprano Sasha Cooke and bass-baritone Kelly Markgraf; Mass, in a chamber version (in partnership with True Concord Voices & Orchestra) featuring Jubilant Sykes; the "Kaddish" symphony, narrated by Jamie Bernstein, and an evening with Broadway star Chita Rivera. Jamie Bernstein, narrator, writer and broadcaster, will be TDSF's Artist-in-Residence, sharing insights and memories of her father and his work. Dr. Matthew Mugmon, the New York Philharmonic's Leonard Bernstein Scholar, will also be in residence. 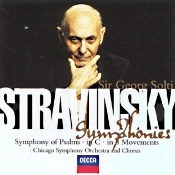 Sir Georg Solti, Chicago Symphony Orchestra and Chorus. Decca 289 458 898-2. Although his ballets overshadow his other orchestral work, Russian composer Igor Stravinsky (1882-1971) wrote several short symphonies in his lifetime. This disc presents three of them in recordings that were among the last made by Sir Georg Solti and his beloved Chicago Symphony Orchestra before his death in 1997. 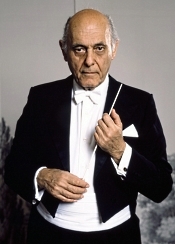 They show Solti in a more subdued, almost meditative mood, than we usually think of the fiery conductor, although he still whips up a driving rhythm when necessary. The first work in the program is the Symphony in Three Movements, written on commission in 1945 for the New York Philharmonic. It is the most obviously balletic in style, the first and final movements, especially, reminding the listener of parts of The Rite of Spring. The middle movement, however, is most serene, originally composed as film music for the appearance of the Virgin in The Song of Bernadette. 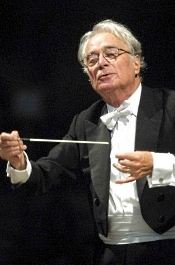 Solti and his players handle the work in a most nuanced and persuasive manner. Next comes the Symphony in C, in four movements the longest piece on the program and written in 1940 for the Chicago Symphony. It is also the oddest piece in the group, not quite holding together as we might expect of a conventional symphonic work. Its parts seem more erratic in nature than in the other pieces, more mercurial, even though Solti attempts to mitigate their differences as much as possible. The disc concludes with the sweetest composition of all, the earliest, and maybe the most familiar: the Symphony of Psalms, written in 1930 for the Boston Symphony. It is a setting for three Psalms, Nos. 39, 40, and 150, sung by the Chicago Symphony Chorus and the Glen Ellyn Children's Chorus. Behind their voices, the orchestra sounds like one large organ playing in solemn accompaniment. It's quite lovely. Decca's sound, made in Orchestra Hall, Chicago, is notable for its absence of any distinguishing characteristics. This can either be good or bad, depending on your point of view. It's good in that there is nothing about the sonics to distract from the music. It's bad if you're looking for an audiophile experience with lots of depth, impact, transparency, roars, and whistles. Not that it doesn't provide its fair share of thrills, particularly in the occasional bass note, but it is rather dry, medium-range sound, not likely to offend or excite. In all, this disc struck me as sensible and straightforward, but not remarkably stimulating. It is a more-measured Stravinsky, and a more-measured Solti, than some of us have come to expect. Rick Benjamin, The Paragon Ragtime Orchestra. New World Records 80795-2. I always seem to be late to the party. 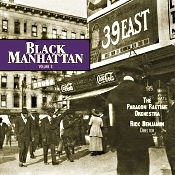 I never heard Volumes 1 or 2 of Black Manhattan, but I'm glad I was able to listen to Volume 3. The experience was well worthwhile and highly entertaining. What I and maybe of millions of others know about the early development of popular black music in America probably begins and ends with Scott Joplin at the turn of the twentieth century and a few jazz artists of the Twenties. But there was more. Much more. Which these albums from Rick Benjamin and the Paragon Ragtime Orchestra demonstrate. The songs span the years 1879-1921, and at twenty-two tracks the album provides almost seventy minutes of music. What's more, the disc comes with a forty-seven page booklet documenting each and every selection, some of the most-extensive and informative notes accompanying any disc I've encountered in a very long while. So, there's that, too. Anyway, I loved the honesty of the performances, their nuanced emotional appeal, the enthusiasm of the players, and the skill of Maestro Benjamin in handling all of this so deftly. Benjamin never appears interested in showing off the tunes in any untoward way by exaggeration or over-sentimentality. Of course, there are a few familiar names on the program: Scott Joplin with "Wall Street Rag," Eubie Blake with "I'm Just Wild about Harry," and Gussie Davis with "In the Baggage Coach Ahead." Mainly, though, we get pieces by less well-known composers like Frederick M. Byron, C. Luckeyth Roberts, Sidney Perrin, J. Turner Layton, James Bland, Will H. Dixon, Clarence Cameron White, J. Leubrie Hill, Clarence Williams, Spencer Williams, Tom Lemonier, Q. Roscoe Snowden, James Weldon Johnson, and J. Rosamund Johnson. Most of the tunes are instrumentals, but several feature solo vocals from soprano Janai Brugger, tenor Chauncey Packer, and baritone Edward Pleasant, who seem to have bigger, more operatic voices than the tunes require. Much as I admired these vocals, I preferred the purely instrumental numbers. Producer and engineer Judith Sherman recorded the music at the American Academy of Arts and Letters, New York in June 2017. The sound nicely captures the ambience of the hall, with good depth of field and a light ambient bloom. This is a realistic sonic reproduction rather than a super-analytical, super-transparent one. Instrument separation is good, vocals are natural (if a little too close for my taste), and dynamic impact is lifelike. Minor quibbles aside, this was one of the most charming albums I listened to all year. A new production of Handel's Israel in Egypt by the Los Angeles Master Chorale and Syrian-Armenian artist Kevork Mourad aims to present the oratorio's story of human diaspora through a contemporary lens. The one-night-only performance on Sunday, February 11 will be conducted by Grant Gershon, the Master Chorale's Kiki and David Gindler Artistic Director, and feature 80 singers and 7 soloists. In addition to creating animated projections for Walt Disney Concert Hall for the performance, Mourad will be on stage, creating his paintings in real-time to be projected as he draws them. Born in Syria of Armenian descent, New York-based Mourad is committed to highlighting the current Syrian refugee crisis in his work. With Israel in Egypt, he aims to explore parallels between the exodus of the Israelites and the plagues that besieged Egypt, as chronicled in the libretto, with today's refugee experience. The Israel in Egypt performance is part of the Los Angeles Master Chorale and Gershon's "Hidden Handel" project that aims to present Handel's under-performed oratorios in collaboration with artists and directors. The project began in 2016 with a performance of Alexander's Feast directed by Trevore Ross. This will be the Master Chorale's first full performance of all three parts of Israel in Egypt, a work that contains 20 choruses, the most of all of Handel's oratorios. The Master Chorale previously performed parts II and III in 2002 during Gershon's first season as Music Director. Orpheus Chamber Orchestra presents "Fire and Light" with Norwegian trumpet virtuoso Tine Thing Helseth on Saturday, February 3, 2018 at 7pm in Stern Auditorium/Perelman Stage at Carnegie Hall. The concert is the finale of a national tour of the program, and marks Helseth's debut on the Carnegie Hall main stage, performing as featured soloist in two concertos: Albinoni's Concerto Op. 9, No. 2 and Bach's Trumpet Concerto in D major (after Vivaldi), BWV 972. Also on the program is Rossini's Overture to Il Signore Bruschino, Haydn's Notturno No. 1 in C Major, and Mozart's Symphony No. 40. The tour begins on Thursday, January 25, 2018 at 8pm at the South Side Center for the Arts in Opelika, AL and continues on Saturday, January 27 at 5pm at the Huntsville Chamber Music Guild at Trinity UMC in Huntsville, AL; Monday, January 29 at 7:30pm at Louisiana State University's Union Theater in Baton Rouge, LA; Wednesday, January 31 at 7:30pm at Kansas State University's McCain Auditorium in Manhattan, KS; and Friday, February 2 at 8pm at the Williams Center for the Arts at Lafayette College in Easton, PA. Single tickets for the February 3 performance, priced from $12.50 to $115, are available for purchase at the Carnegie Hall box office at 57th and 7th, can be charged to major credit cards by calling CarnegieCharge at 212-247-7800, or by visiting the Carnegie Hall website at carnegiehall.org. I am honored to be a composer with American Opera Projects, which is keeping opera a vital and contemporary form of expression in today's world. (Just this past year, AOP presented over 80 performances to over 38,000 people). For me, AOP was central in the development of Paul's Case, which I wrote with the playwright Kathryn Walat. It was the first time either of us had written an opera. Before making its way to Pittsburgh Opera, UrbanArias, and the Prototype Festival, AOP nurtured Paul's Case through two years of workshops and countless revisions, allowing Kathryn and me to develop a collaborative language that could serve Cather's important LGBT-themed story of rebellion and teenage angst. Please give generously. Or come to an AOP event and help shape this powerful art form with your thoughts and impressions. New opera - and American Opera Projects - need you!" Yours in gratitude, Gregory Spears"
One of the world's premier violinists Sarah Chang joins forces with the multifaceted pianist Julio Elizalde for a one-night-only performance highlighting their brilliant talents in their debut at the Wallis Annenberg Center for the Performing Arts (The Wallis) on Saturday, January 6, 2018 at 7:30pm. The program includes Bartok's Romanian Folk Dances, Brahms's Sonata No. 3 in D minor, Op. 108 and Franck's Sonata in A major, FWV 8. Prior to the concert at 6:30pm, Classical KUSC's Brian Lauritzen will host a conversation with Sarah Chang as part of the organization's Preludes @ The Wallis series. This concert is made possible by the generous support of the Simms-Mann Family Foundation. Single tickets are now available for $45 – $95. For more information or to purchase tickets, visit TheWallis.org/Chang, call 310.746.4000, or stop by in person at the Wallis Annenberg Center for the Performing Arts Ticket Services located at 9390 N. Santa Monica Blvd., Beverly Hills, CA 90210. The literary giant Gertrude Stein has inspired books, plays and paintings. Now her plays have inspired the composer Daniel Thomas Davis to create an opera. Along with librettist Adam Frank and director-designer Doug Fitch, Daniel Thomas Davis has adapted three of Stein's plays into a three-act fantastical opera. SIX. TWENTY. OUTRAGEOUS receives its world premiere on February 9 and 10 at 7:30 pm, and February 11 at 2:00 pm, at Symphony Space's Leonard Nimoy Thalia Theatre at 2537 Broadway at 95th Street, New York, NY. Artistic Partner Daniel Hope and New Century Chamber Orchestra present "Mozart Birthday Celebration" January 25-28, featuring debut appearances by pianists Menahem Pressler and Sebastian Knauer. 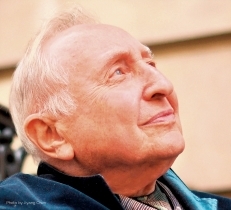 Marking the composer's birth date, Pressler will perform Mozart's Piano Concerto No. 23 in A Major, KV 488 in San Francisco (January 27) with Knauer appearing as the soloist for the remaining three performances in Berkeley, CA; Palo Alto, CA; and San Rafael, CA (January 25, 26 and 28). The all-Mozart program also highlights the composer's Violin Concerto No. 3 in G Major, KV 216, showcasing Daniel Hope as soloist, Adagio and Fugue in C minor, KV 546, and Symphony No. 29 in A Major, KV 201. Single tickets range in price from $29 to $61 and can be purchased through City Box Office: www.cityboxoffice.com and (415) 392-4400. Discounted $15 single tickets are available for patrons under 35 and $10 single tickets for Students with a valid ID. Open Rehearsal tickets are $15 general admission and can be purchased through City Box Office: www.cityboxoffice.com and (415) 392-4400. PENTATONE is delighted to announce that Italian soprano Francesca Aspromonte has signed an exclusive, long-term deal with the label. Her first solo album, titled "Prologue," is due to be released in May this year. It features prime period-ensemble Il Pomo d'Oro, led by Enrico Onofri, in an exquisite collection of instrumental and vocal prologues, gems taken from some of the earliest operas ever written, including Monteverdi's founding masterpiece, L'Orfeo. Vaclav Luks, Stefano Montanari, and Alessandro Quarta. The Tucson Desert Song Festival is a unique, collaborative festival, presented in partnership with Tucson's leading arts organizations. TDSF provides subsidies to its partners, enabling them to bring world-class singers and exciting programs to their stages. It is the Festival's mission to enrich Tucson's musical life, while making the city a true "Culture Destination." The festival provides a world spotlight to shine on Tucson. Also, Concerto for Two Horns. Dieter Klocker, clarinet; Holger Schroter-Seebeck, SWR Symphony Orchestra of Baden-Baden and Freiburg. CPO 999 621-2. Francesco Antonio Rosetti (c. 1750-1792) is hardly a household name anymore, and despite the name sounding Italian, he was born in Bohemia, a region of today's Czech Republic. As a Kapellmeister for much of his adult life, he composed quite a lot of music: symphonies (over fifty of them), concertos, partitas, songs, and various chamber works, with the concertos represented here among his most popular pieces. The first thing that struck me upon listening to this disc was its wholly natural and realistic orchestral depth. Then, with the entrance of the clarinet in the program's first selection, the Concerto for Clarinet and Orchestra No. 1 in E-flat major, it was the careful balance of the featured instrument with the rest of the ensemble that impressed me. I cannot imagine even the most finicky audiophile finding fault with the recording's 1998 sound and its excellent imaging from engineer Norbert Vossen. The next things I noticed about the music were the sweetness and gentleness of the concerto's two opening movements, Dieter Klocker's clarinet playfully caressing the orchestra throughout. This may be a composition of the mid-to-late Classical period (the exact date is unknown but 1789 would not be far off), yet one gets a feeling of early Romanticism in these sections. The piece ends with an enthusiastic and sprightly Rondo that, nevertheless, retains the mood, if not the tempo, of the preceding parts. The Concerto for Clarinet and Orchestra No. 2, here getting its premiere recording, sounds more ambitious and sophisticated in its instrumental texture and does not convey the same innocence of spirit as the Concerto No. 1 possesses. Nevertheless, Maestro Holger Schroter-Seebeck and his players give it a good and thorough outing, and the results are satisfying. 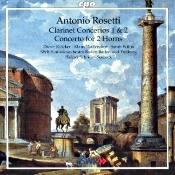 Concluding the program is Rosetti's Concerto for Two Horns and Orchestra, also in its premiere recording. It is more symphonic in structure and tone than the Clarinet Concertos and, while still entertaining, sounds more commonplace than the accompanying works. The CPO engineers capture the horns quite well, however, and one will find their presence alone a good deal of fun. This is superb album of unusual and highly enjoyable repertoire that one should not dismiss out of hand just because the name Antonio Rosetti is relatively obscure. In his time, audiences knew and appreciated Rosetti. With discs like this one, maybe people will again get to know him. Piano Sonatas Nos. 5, 6, 7 and 10. 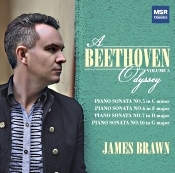 James Brawn, piano. MSR Classics MS 1469. You know how when you've got a favorite actor or actress in a part, and you can't imagine anyone else doing it better: Like Clark Gable in Gone with the Wind, Humphrey Bogart in Casablanca, Barbra Streisand in Funny Girl, Helen Mirren in Prime Suspect, John Thaw in Inspector Morse, or more recently Sam Elliot in The Hero? You know that other people could have done justice to the roles, but you doubt that anyone else could have improved upon them. That's the way I feel about English-born pianist James Brawn and his performances in the Beethoven piano sonatas. Which is to take nothing away from any of the fine sets of sonatas we've gotten over the years from such distinguished artists as Alfred Brendel, Daniel Barenboim, Stephen Kovacevich, Claudio Arrau, Wilhelm Kempff, Vladimir Ashkenazy, Maurizio Pollini, Artur Schnabel, and others. And I can't claim that Brawn does anything any better than these other pianists. It's just that Brawn's work always feels consistently "right"; it's never flashy or eccentric, extroverted, idiosyncratic, or dull. With Brawn you just can't seem to think of the music played any other way. Anyhow, with Volume 5 of his "Beethoven Odyssey," Brawn has now recorded twenty of Beethoven's thirty-two piano sonatas, and he shows no signs of slowing down any time soon. Fortunately for us. The four sonatas Brawn performs on the current program (Nos. 5, 6, 7 and 10) date from 1798 and 1799. As Beethoven did with the others in the cycle, he intended these sonatas for performance in the home for family and friends, in a chamber setting for small gatherings, or on the concert stage for large audiences. They were kind of all-purpose musical pieces, and, of course, the composer never meant them to be played all at once (although some pianists have performed them over a series of evenings). Well, some of Beethoven's concerts were, indeed, all-night affairs, but even for him thirty-two works would be a stretch. Whatever, the sonatas are probably the most well known and maybe the best such works ever written, and Brawn gives them a good workout. So, what does Brawn do with these early sonatas? It's probably easier, as I suggested above, to say what he doesn't do with them. He isn't as gentle as Kempff; he isn't as dynamic as Pollini; he isn't as poetic as Arrau; he isn't as deliberate as Brendel; he isn't as zestful as Barenboim; and so on. In fact, it's hard to characterize Brawn's playing with simple adjectives. He just molds each phrase as skillfully as possible, the fast movements sounding every bit as vital and vigorous as any you've heard; and the slow movements as lyrical, as serene, as thoughtful as any around. Brawn takes Sonata No. 5 at a good, heady pace, yet he never oversteps the bounds of propriety, making it sound lively and tranquil by turns. The first movement, especially, appears full of contrasts--dynamic and emotional--and with Brawn in full control, it is a fine introduction to the rest of the pieces. The second, slow movement seems to foreshadow Chopin and conveys a deep feeling of sorrow. Then, the Finale does a complete U-turn, being very quick (prestissimo) and upbeat. Brawn has a good deal of fun with it. Sonata No. 6 was apparently one of Beethoven's favorites, which may have proved what a good pianist he was. I say this because of the four sonatas on this program, No. 6 is probably the most virtuosic. Brawn's flying fingers were never in more evidence, and he gives it a good workout. The Presto finale is particularly demanding, but Brawn has no difficulty with it, and the result is most entertaining. Sonata No. 7 is unusual in that it has four movements rather than the traditional three. The work alternates between brightness and gloom, but, fear not, it ends on a smiling note. Again, the score illustrates how nimble Mr. Brawn is on the keyboard, and while I can't claim I've ever liked the piece too well, Brawn does as much as possible to make it enjoyable. The disc ends with Sonata No. 10, a more elegant and lyrical work than the preceding ones, perhaps an indication of Beethoven's growing maturity; he may have felt he no longer needed to prove his worth through flamboyant showmanship alone. Whatever the case, under Brawn's thoughtful guidance, the sonata sounds flowing, graceful, playful, lilting, dramatic, and exciting. It ends the program in bravura fashion and reinforces my opinion that when Brawn finishes the complete sonatas, the set will rival the very best available. So far, there are simply none better. Producer Jeremy Hayes and engineer Ben Connellan recorded the music at Potton Hall, Suffolk, United Kingdom in April 2017. The piano sounds about as good as it could sound, namely, like a real piano. The sonics are clear and clean, the hall resonance is nigh-well perfect, and the miking distance provides a realistic seating position on the part of the listener. Musica Viva NY presents legendary pianist, teacher, and composer Seymour Bernstein in a special benefit concert, Reintroducing Seymour, on Sunday, January 21 at 2:00 p.m at All Souls Church on the Upper East Side (Lexington Avenue at 80th Street), NYC. The program begins with Bernstein in solo piano works by Bach, Brahms, Beethoven, Liszt and Grieg. Following this, Musica Viva NY Artistic Director Alejandro Hernandez-Valdez is featured in solo piano works by Chopin, Schumann, and Schubert, and members of the Musica Viva NY Choir, soprano Devony Smith and baritone Brian Mextorf, perform lieder by Schubert and Schumann, accompanied by Seymour Bernstein. The program concludes with Schubert's Fantasy in F Minor, D. 940, featuring both Alejandro Hernandez-Valdez and Seymour Bernstein. The concert is free, with a suggested donation at the door. Additional concerts in Musica Viva NY's 2017-18 season at All Souls Church include "Voices in Motion: Exploring Sound and Space" on February 25, 2018 featuring guest organist, conductor and Musica Viva NY founder Walter Klauss; "Infinite Hope: Commemorating the 50th Anniversary of MLK's Assassination" on April 8, 2018 featuring the music of conductor, composer, and writer Alice Parker; and "Sunrise in the City: Musica Viva NY Celebrates 40 Years" on May 20, 2018 featuring a new commission by Elena Ruehr. New Century Chamber Orchestra announce a special San Francisco performance featuring the Zurich Chamber Orchestra on Friday, March 16, 2018, 5:30 p.m. at Herbst Theatre. In his first season as Artistic Partner of New Century, Daniel Hope brings the Zurich Chamber Orchestra, with whom he also serves as Music Director, for the opening performance of its 2018 United States Tour. Both ensembles will be highlighted separately in a selection of works from the chamber orchestra repertoire including Bartók's Romanian Dances, Mozart's Divertimento in F Major, K. 138 and Summer 3 from Max Richter's Recomposed: Vivaldi - The Four Seasons. The evening will conclude with both orchestras combining forces for Grieg's Holberg Suite. Immediately following the concert, New Century will host its 2018 annual gala in the Green Room at Herbst Theatre with proceeds benefiting the organization's education and artistic programs. Tickets to the Zurich Chamber Orchestra concert go on general sale January 5, 2018 and range in price between $29 and $61. Purchase by phone (415) 392-4400 or online at http://www.cityboxoffice.com. Praised by Epoch Times as "a very welcome addition to the chamber music landscape of New York, the Aspect Foundation for Music & Arts eagerly presents the latter half of its second New York City season, with illuminating performances, underscoring a different thematic concept each evening. 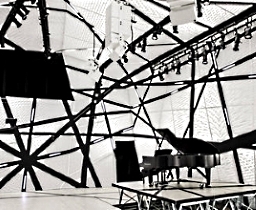 With appearances by many of the most prominent performers and musical scholars of today, the Aspect Foundation has quickly become a favorite series among New York's classical concert-goers. The Foundation is housed by the elegant Italian Academy at Columbia University, further instilling Aspect's core sentiments of curiosity, intellectualism, and deriving pleasure from art. Strathmore's Music at the Mansion (10701 Rockville Pike North Bethesda, MD) performances in January and February focus on the intricacies of the individual instrument. Internationally-recognized pianist and member of the revered Silk Road Ensemble Joel Fan thrills with a blend of canonical and contemporary music. Principal oboist for the London Symphony Orchestra, Olivier Stankiewicz, finds expressiveness in his passion for experimental new music and timeless symphonic traditions. Ashley Bathgate concentrates on the power of a solitary instrument in the concert hall, performing a reinterpretation of Bach's cello suites by composer/collective Sleeping Giant. In a decided departure, the Jon Stickley Trio grooves things up with thumping melodies and harmonies, blending gypsy jazz, bluegrass, and hip-hop with guitar, violin, and drums. Thursday, January 25, 2018; 7:30 p.m.
Thursday, February 1, 2018; 7:30 p.m.
Thursday, February 8, 2018; 7:30 p.m.
Thursday, February 22, 2018; 7:30 p.m.
From January 24 to February 3, 2018, the International Contemporary Ensemble (ICE) reprises Pulitzer Prize-winner David Lang's the whisper opera in 13 performances at NYU Skirball. The small audience and musicians are enclosed in an intimate onstage set, as the opera, performed almost entirely in whispers, explores the question: "What if a piece were so quiet and so personal to the performers that you needed to be right next them or you would hear almost nothing?" With direction and design by Jim Findlay, the whisper opera features sopranos Tony Arnold and Alice Teyssier and ICE musicians Kivie Cahn-Lipman (cello), Claire Chase (flute), Ross Karre (percussion), Joshua Rubin (clarinet). the whisper opera was premiered in NYC with one performance at Lincoln Center's 2013 Mostly Mozart Festival, and since toured across the US and Europe. After 10 years, FAYM is still going strong. At our most recent board meeting we looked back at where we have been and began long term planning with hopes to make the next 10 years even better than the first. FAYM began with an idea from Mr. Harold Weller, and thanks to the help of many individuals along the way has grown. I especially want to draw attention to our board and all they have done to make that growth possible. Our board members come from different backgrounds and professions that come together for one reason: to bring music education to young people. None of us are interested in personal fame or fortune. We are only trying to make a difference in the lives of others. I frequently quote the African proverb, "It takes a village to raise a child". The FAYM village could not exist without the leadership of our board members. Every month, the board gathers to share ideas and make plans to improve and expand FAYM programs, all in the hope that we are creating a legacy for young people yet to come. We share the dream that this program will continue long after we are gone! We put in a lot of time, effort, and financial support to keep FAYM going strong. At this time I would like to thank Board Members past, present, and future who have share this mission and work hard to bring it to fruition. Martha Argerich, piano; Charles Dutoit, Montreal Symphony Orchestra. Warner Classics 7243 5 56798 2 6. First, a prefatory note: Since I first heard it in the mid Sixties, Maurizio Polloni's 1960 rendering of Chopin's First Piano Concerto (EMI) has been one of my top ten favorite recordings of all time. I never thought that anything could or would shake my confidence in that particular conviction. 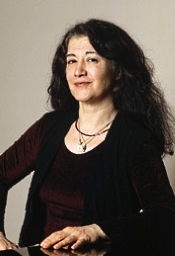 But then I should never have underestimated Martha Argerich, who continually amazes me with each of her releases. Her 1998 recording of the First Concerto is sublime. No, I will not go so far as to concede that it overshadows Pollini's version, but it comes closer than most other recordings I have listened to in the past fifty years or so. In the first movement, Argerich and Pollini are equally poetic and equally heroic, and if anyone can find an advantage for either of them, he or she is a better listener than I. Amazingly, the interpretations are within two seconds of one another in the opening movement, and both are hauntingly beautiful in the big middle tune. In the slow, second movement, however, I have to stick with Pollini. 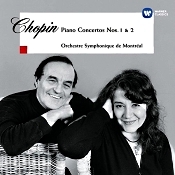 Chopin himself describes the movement as "...calm and melancholy, giving the impression of someone looking gently towards a spot which calls to mind a thousand happy memories. It is a kind of reverie in the moonlight on a beautiful spring evening." Such is Pollini's account, which lingers ever that much longer in the moonlight than Argerich's. In the final movement, the Rondo Vivace, again the two performances are almost equally vigorous, but here I have to admit to a marginally greater fluency in Argerich's playing, even if she takes things at a rather heady pace. What I cannot deny is that EMI's (now Warner's) sound mostly improved over the years. It was richer, smoother, quieter, and more refined in 1998 than in 1960. I say "mostly," though, because the actual piano sound is a tad more well focused in the older recording and a bit more crisply defined. Perhaps for the first-time buyer of either disc, price may play a part in the decision or the couplings on the two discs. The new Argerich issue combines the First Concerto with the Second (actually written earlier than the First). As expected, the Second also goes to the top of the pile, although I don't especially respond to much of the music except its lovely second movement. Pollini rounds out his mid-priced album with a collection of short solo Chopin pieces, all of them must-buys as well. So, in the end I'd have to advise any serious music collector to purchase both discs. The older recording is an acknowledged classic; the newer one was my personal choice for record of the year when it came out. What else can a person do but own them both? Double Concerto; Little Concerto; Concerto for Two Pianos; Piano Concerto No. 4. Mikhail Korzhev, piano; Eric Huebner, piano; Nurit Pacht, violin; Adrian Partington, organ. 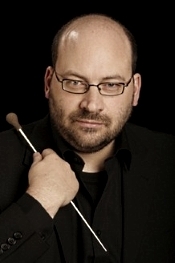 Kenneth Woods, English Symphony Orchestra. Toccata Classics TOCC 0392. 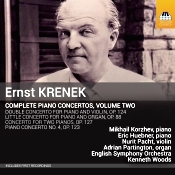 In a booklet note accompanying this disc, author/teacher/conductor Peter Tregear writes, "Ernst Krenek's reputation as a 'one-man history of twentieth century music' is nothing if not well deserved." I think he probably means that the Austrian-born American composer Ernst Krenek (1900-1991) produced over 240 works in his lifetime, adopting a variety of compositional forms along the way, from late-Romantic to atonality, from neoclassicism to experimental jazz, and from modal counterpoint to twelve-tone writing, serial techniques, and electronic music. He mainly earned a living, though, by teaching, lecturing, and completing the unfinished material of other composers, and today he may be more famous for his short-lived marriage to the daughter of Gustav Mahler than for anything he composed. Anyway, in 2016 Toccata Classics released the first volume of Krenek's complete piano concertos with Mikhail Korzhev, piano, and Kenneth Woods leading the English Symphony Orchestra. It contained the first three of Krenek's four solo piano concertos, and this second volume with the same forces contains the fourth one, along with several other, shorter concerto works that make Volume Two even more varied and interesting than the first disc. The program begins with Krenek's Piano Concerto No. 4, Op. 123, which he wrote in 1950. What I said about the performance team last year still applies: Korzhev's piano playing is scintillating, Woods's direction is warmly encouraging, and the orchestra is uniformly precise. For me, the Fourth Concerto is also the most fascinating and perhaps the most consciously modern, meaning it's nothing that you're going to go away humming, but it's something that may rivet your attention from beginning to end. Also, interestingly, Korshev, Woods, and the English Symphony give it its premiere recording. You'd think somebody in the past sixty-odd years would have found the music attractive enough to record, but I guess some things just get lost in the shuffle. Thank goodness for people like Woods championing a good cause. So, the first movement starts us off in a somewhat tumultuous state (marked "agitato" or agitated and "pesante" or heavy), its cadences unremitting. The second, slow movement is both lyrical and slightly atonal, which also seems a contradiction, yet works. The third and final movement is the most stylistically varied, a kind of march, and the most insistently rhythmic. Pianist Korzhev gets us through it with verve aplenty, and Maestro Woods and his players accompany him with an equal zest. Next is the Concerto for Two Pianos, Op. 127, written in 1951, in which pianist Eric Huebner joins Mr. Korzhev. It's in four short movements and alternates between the sublime and the frenetic. The fact that I did not particularly enjoy it seems irrelevant; it's vibrant, pulsating, and dynamic in the capable hands of the soloists and orchestra. After that is the Double Concerto for Violin and Piano, Op. 124 from 1950, with violinist Nurit Pacht joining Mr. Korzhev. This work is in six or seven movements, depending on how you break up the final one. Despite the number of movements, the whole piece is quite brief, the movements only two or three minutes each. The dialogue between the violin and piano (the violin usually dominant) is casual and intimate, the music dance-like. The performers do up the work in an elegant manner, giving it a modern yet quaintly old-fashioned feeling. The program ends with the Little Concerto for Piano and Organ, Op. 88 from 1940, with organist Adrian Partington joining in the fun. The orchestral accompaniment is the most diminutive in this selection, the score almost salon-like in its chamber setting. The music is also at its most poetic here, the organ gently filling in a quiet background. There is nothing ostentatious about the piece, just a sweet, generally tenderhearted little ditty performed with warmth and affection. Producer Michael Haas and engineer Ben Connellan recorded the concertos at Wyastone Concert Hall, Wyastone Leys, Monmouth, Wales in September 2016. The sound is a little close and sometimes highlights instruments unnecessarily, but it nevertheless provides good orchestral depth and excellent clarity. There is nothing harsh, bright, or edgy about the sonics; indeed, it is quite the contrary, with smooth, detailed sound all the way around, especially the highs, which truly shimmer and glisten. The International Contemporary Ensemble (ICE) announces their spring 2018 season in the New York area, all following the theme of celebrating composer relationships, both past and future. On Sunday, January 21, 2018 at 8pm, ICE continues its residency at Brooklyn's National Sawdust, performing a concert of world premieres by Okkyung Lee, Nicole Mitchell, and Lu Wang. Featured ICE musicians include bassoonist Rebekah Heller, guitarist Daniel Lippel, saxophonist Ryan Muncy, clarinetist Joshua Rubin, pianist Cory Smythe, flutist Alice Teyssier, and harpist Nuiko Wadden. The program will feature Okkyung Lee's ha-yeom, Nicole Mitchell's Inescapable Spiral, and Lu Wang's Ryan and Dan. On January 10,12, 13, 18, 19, and 20, 2018 at 7:30pm at the Baruch Performing Arts Center, the Prototype Festival will present ICE in the world premiere performances of Mikael Karlsson's opera The Echo Drift, with libretto by Elle Kunnos de Voss & Kathryn Walat. Commissioned, developed and produced by Beth Morrison Projects, HERE, and American Opera Projects, The Echo Drift was originally developed by Karlsson and Kunnos de Voss in a full-length workshop presented by the Embassy of Sweden in Washington DC in 2014, and follows convicted murderer Walker Loats, who is trapped in a tiny, timeless prison cell. Using the visual world of animation, The Echo Drift unravels a cycle of deceit, temptation, seduction, and fantastical perception featuring a live chamber ensemble, electronics, and a six-channel surround sound system. From January 24 to February 3, ICE reprises Pulitzer Prize-winner David Lang's the whisper opera in 13 performances at NYU Skirball. With direction and design by Jim Findlay, the whisper opera features sopranos Tony Arnold and Alice Teyssier and ICE musicians Kivie Cahn-Lipman (cello), Claire Chase (flute), Ross Karre (percussion), Joshua Rubin (clarinet). The small audience and musicians are enclosed in an intimate onstage set, as the opera, performed almost entirely in whispers, explores the question: "What if a piece were so quiet and so personal to the performers that you needed to be right next them or you would hear almost nothing?" the whisper opera was premiered at Lincoln Center's 2013 Mostly Mozart Festival, and since toured across the US and Europe. On Thursday, March 1, 2018 at 8pm, ICE returns to the Miller Theatre for a Composer Portrait celebrating young Irish composer Ann Cleare. ICE musicians perform some of Cleare's most striking works in an ensemble led by Steven Schick, including the square of yellow light that is your window, inspired by fellow Irish artist Oscar Wilde; Dorchadas; eyam iv for contrabass flute and ensemble; and a world premiere of a new work for voice, bassoon, viola, cello, bass. Continuing their season theme of composer relationships, on Thursday, March 22, 2018 at 7pm, ICE publicly addresses the famous Harvard Norton Lectures by Leonard Bernstein, given in 1973, in Bernstein's "Unanswered Questions" at the Bruno Walter Auditorium at the New York Public Library. Originally titled "The Unanswered Question," in reference to Charles Ives's immortal orchestral work, the extremely opinionated and charismatic lectures became a flashpoint for music historians, composers, performers, and audiences. Forty-five years later, and on the occasion of the Bernstein centennial, ICE attempts to bring the perspective of hindsight to Bernstein's achievement. Structured as a dialogue with musical performances, this event allows ICE to use its new-music expertise to gain a modern point of view on the questions that Bernstein so eloquently raised. American Bach Soloists present their annual performances of Handel's masterpiece, Messiah, in San Francisco's Grace Cathedral, December 13-15. Grace Cathedral, 1100 California Street at Taylor, San Francisco, CA. Join us Sunday for a timeless holiday tradition: experience Handel's Messiah – a season favorite – in all its historical glory with Nicholas McGegan and America's leading period instrument ensemble Philharmonia Baroque Orchestra & Chorale performs with an international cast of stars. [PIAS] America Announces Distribution Deal with LSO Live, Mariinsky and King's College labels. [PIAS] America is pleased to announce that starting January 22, 2018 it will begin distribution of the LSO family of classical labels including LSO Live, King's College and Mariinsky. Also, in March 2018, the LSO will launch a new label, Colin Currie Records, which will also be distributed by [PIAS] America. LSO Live is the London Symphony Orchestra's own record label. Launched in 1999 with the aim of reaching new audiences for classical music as well as dedicated listeners, it was the first of the new breed of artist-owned labels which have helped revitalise? the market for classical music. LSO Live recordings are owned by the Orchestra itself. The players, conductors and soloists are stakeholders in the recordings on which they appear and LSO Live works with some of the world's leading producers and sound engineers. The musicians not only choose what should be recorded, but are also involved throughout the production process, ensuring only recordings they are happy with get released. The recording label of King's College, Cambridge was created in 2012 to capture the heritage of the Choir and organ of King's College and the unique acoustic of King's College Chapel. The Mariinsky label, launched in May 2009, draws on the theatre's rich legacy and historical ties to the great Russian composers. Piano Trio presents two premieres by Grammy-nominated composer and Chicago native in four upcoming Chicago concerts. Sheridan Solisti Trio, comprised of internationally- acclaimed musicians pianist Susan Merdinger, violinist Michaela Paetsch, and cellist Steven Sigurdson, are joining forces for four upcoming Chicago concerts featuring two premiere performances. The concerts include the the world premiere of the trio arrangement of "Ghost Tango" (originally written for piano and cello, in 2012) by Grammy-nominated composer, Ilya Levinson, as well as a USA premiere of "Solar Rays" by Chicago native, Aaron Alter. Pianist Susan Merdinger, who Fanfare Magazine has hailed for her "magic touch" and for keeping audiences "spellbound from first note to last," recently performed at the Logan Center for the Arts on the Chicago Symphony Orchestra Chamber Music Series in her sixth engagement on the CSO series. 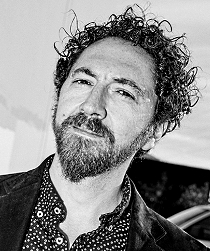 Merdinger has graced the New York stages of Carnegie and Merkin, as well as many of the finest venues of Europe, Canada and Mexico. Among many other accolades, violinist Michaela Paetsch has distinguished herself as the first female violinist to record the 24 Caprices of Niccolo Paganini (Teldec). In addition, Paetsch has won prizes in the Queen Elisabeth, Tchaikovsky and Dealey International Competitions, which resulted in her solo engagements with major orchestras and conductors in Europe and Asia. 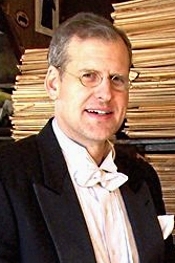 For over 20 years Steven Sigurdson, cellist, has enjoyed a successful orchestral career, including being among the first cellists hired for Michael Tilson Thomas's celebrated New World Symphony in Miami, as well as a 13-year tenure as Associate Principal Cellist of the Florida Philharmonic. A few weeks ago, during our annual MCO Academy orchestra project, we did much more than merely share the stage with this year's 45 Academy students – from our five partner institutions spanning three continents – in three concerts. During our project week at Orchesterzentrum|NRW, in any given practice room, MCO musicians could be found coaching Academy students in individual lessons or in chamber music rehearsals. Questions and ideas were exchanged not only at a mentoring session, but also in the hallways of Orchesterzentrum|NRW before, during and after rehearsals every day. And deaf students from our partner school in Dortmund, whom we met through a "Feel the Music" session last year at Konzerthaus Dortmund, joined us for rehearsal one morning. Ballet Favourites from Opera. Decca 289 458 229-2. I've come to love compilations of older recordings. You never know what you're going to find, especially on this disc of ballet music from operas featuring some of Decca's biggest-name orchestras and conductors. The audio, recorded between 1962 and 1988 varies, of course, but most of it is good and some of it is terrific, making the whole enterprise all the more enticing. The highlight of the disc is the title tune, "The Dance of the Hours" from Ponchielli's La Gioconda. Made digitally in 1980, it's taken at a healthy clip by Bruno Bartoletti and the National Philharmonic Orchestra. Indeed, the gait is so quick the hours seem literally to fly by. But the best part is the sound. It's superbly translucent and open. This is due in part to a general absence of bass resonance, but, in fact, there's a general absence of bass, too, a common affliction of all of the pieces on the program. Nonetheless, it's clear, clean, beautiful sound and a joy to listen to. The next two pieces are Saint-Saens's "Air et danse--Bacchanale" from Samson and Delila and the ballet music from Gounod's Faust, both played by Charles Dutoit and the Montreal Symphony Orchestra. As always from this source, the performances are urbane and velvety smooth, and the sound, from 1987 and 1983 respectively, is warm and ambient. The thing is, although I recognize the Dutoit sound as the more natural, I still preferred the clearer sound from Bartoletti on the previous track. Next up are the only two works I didn't care for much, Smetana's "Polka" and "Furiant" from The Bartered Bride, done by Istvan Kertesz and the Israel Philharmonic in 1962. Perhaps it's my age catching up with me, but I'm less tolerant of loud, boisterous music anymore. Mussorgsky's "Dance of the Persian slaves" from Khovanshchina, with Ernest Ansermet and the L'Orchestre de la Suisse Romande from 1964, was more up my alley, lighter and more exotic. There is some small background noise here and a bit more high-end edginess, but otherwise it is a fine old recording. Richard Bonynge and the London Symphony Orchestra do up the ballet music from Rossini's William Tell nicely, and the 1962 sound hardly shows its age. Yet I couldn't help feeling that the music itself was not quite worth the bother. Riccardo Chailly and the Orchestra del Teatro Comunale di Bologna do an acceptable job with the "Grand March" and ballet music from Verdi's Aida. Still, there isn't a lot of bass to reinforce the spectacle, and there should be. There follows another Saint-Saens, the "Danse de la gitane" from Henry VIII follows, again with Richard Bonynge and the LSO, this time from 1971. It holds some small interest. As does the program's concluding number, Gounod's waltz from the opera La Reine de Saba, from the same source. This is a most charming piece and bears a striking family resemblance to Gounod's second-act waltz in Faust. At mid price, the whole affair seems a worthy purchase for listeners who don't already have favorites in some this material or just want a lot of it in one place. 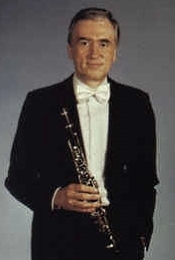 Rafael Kubelik, Orchestre de Paris, Wiener Philharmoniker, Cleveland Orchestra. Pentatone PTC 5186 250 (2-disc set). At about the time I began collecting records as a kid in 1954, the recording industry coincidentally introduced stereo to the world. So you could say stereo and I grew up together. 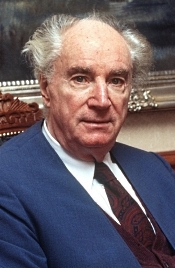 And during those early years, it seemed like Czech conductor Rafael Kubelik (1914-1996) was everywhere. Month after month he appeared to be recording with a different orchestra somewhere in the world, leading the likes of the Chicago Symphony, the Concertgebouw Orchestra, the Royal Opera Covent Garden, the Bavarian Radio Symphony Orchestra, the Berlin Philharmonic, the Boston Symphony, the Chicago Symphony, the Cleveland Orchestra, the Israel Philharmonic, the London Symphony, the New York Philharmonic, the Vienna Philharmonic, and, of course, the Czech Philharmonic, among others. On the present reissue album, Maestro Kubelik conducts three different orchestras (Orchestre de Paris, Wiener Philharmoniker, and Cleveland Orchestra) in repertoire he must have recorded a dozen times each. OK, I exaggerate, but you get the point. Practice makes perfect, I suppose, and these remastered DG recordings come to us from a high point in his career--1973-75--just a few years before ill health began curtailing his work. The program begins with one of Beethoven's most-cherished compositions, the Symphony No. 6 in F, Op. 68 "Pastorale" from 1808. It is among the composer's few programmatic pieces, describing as it does a kind of idealized bucolic scene. Beethoven starts it with an "Awakening of cheerful feelings upon arrival in the countryside"; continues with a "Scene by the brook"; follows with a "Merry gathering of country folk"; interrupts the proceedings with some brief "Thunder and Storm"; and then concludes tranquilly with a "Shepherd's song; cheerful and thankful feelings after the storm." Kubelik leads the Orchestra de Paris in a straightforward, fairly routine interpretation of these events. In fact, the Sixth seems more casual than I'm used to hearing, not just more leisurely but more sluggish. One could argue that such a relaxed approach is just what the music needs to portray the Arcadian serenity of the countryside, but Kubelik seems to go it one further, making the music appear almost sleep-inducing. For my tastes, I prefer the old standbys from Fritz Reiner (RCA, JVC, or HDTT), Karl Bohm (DG), Bruno Walter (Sony), Otto Klemperer (EMI), and Eugen Jochum (EMI). Disc two opens with Beethoven's Symphony No. 7 in A, Op. 92 (1812), which Kubelik performs with the Vienna Philharmonic. The composer considered it one of his best works, and during the premiere the audience demanded an encore of the second movement. In fact, conductors sometimes play the second movement by itself, separate from the rest of the symphony. One admirer, composer Richard Wagner, referred to the work's lively rhythms as the "apotheosis of the dance." Here, Kubelik seems a bit more animated than he was in the "Pastorale." The Vienna Phil seems a bit more poised and precise than the Paris Orchestra, with a touch greater richness. By the time the conductor reaches the finale, he's caught fire, and the symphony ends in an appropriate blaze. As nice as Kubelik's recording is, however, I continue to favor the performances of Fritz Reiner (RCA or JVC), Colin Davis (EMI), Nicholas McGegan (PBP), Carlos Kleiber (DG), David Zinman (Arte Nova), Leonard Bernstein (Sony), and Roger Norrington (EMI). The second disc ends with the Symphony No. 8 in F, Op. 93 (1812), a piece Beethoven called his "little Symphony in F" because his Symphony No. 6 in F is almost twice as long. The Eighth is cheerful in mood, sometimes loud, but mainly light. It is also the symphony the general public often overlooks, squeezed as it is among the longer, more prominent, and more acclaimed Sixth, Seventh, and Ninth. Kubelik's handling of the score seems a tad too serious to me, although the second movement has a charming playfulness to it. Overall, though, it never appeared to soar or seem much more than a commonplace reading. Again I preferred several other recordings to Kubelik's, favorite recordings from Roger Norrington (Virgin), David Zinman (Arte Nova), and Eugen Jochum (Philips) in particular. 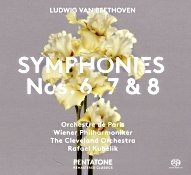 Deutsche Grammophon recorded the music in Quadraphonic at the Salle Wagram, Paris in 1973; the Grosser Saal, Musikverein, Vienna in 1974; and Severance Hall, Cleveland in 1975. Pentatone remastered it on SACD for multichannel and two-channel stereo playback. I listened in the SACD two-channel mode. Although the recordings span three different orchestras and halls over a period of three years, the sound is remarkably alike. In the Sixth, it's smooth and fairly clean, with a touch of soft warmth, a clear if sometimes slightly harsh high end, and little deep bass. So it's a bit thin, although it displays a moderately good depth of field and more than adequate room ambience. Perhaps the multichannel would open it up better. In the Seventh the sound appears miked a tad closer, yielding better detail but at the expense of some losing some hall ambience. Then in the Eighth, we get the best of both worlds, with good definition at a reasonable distance from the orchestra, and even a little better dynamic impact and bass response. 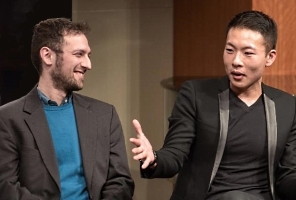 The Hermitage Artist Retreat in Englewood, FL and New York City's American Opera Projects (AOP) announce the second Opera Genesis Fellowships to composer Joseph N. Rubinstein and librettist Jason Kim. The award includes a six-week Hermitage residency, in which these two artists will work on their new opera Legendary, about the drag balls of the 1980s in New York City. The Opera Genesis Fellowship awards are presented annually to artists who have completed training in AOP's Composer & the Voice (C&V) training program which helps to develop contemporary American opera. Joseph N. Rubinstein grew up in Newport News, VA and currently lives in New York City. Joseph's music is often concerned with dramatic narrative and character, and has been presented by Fort Worth Opera Festival, The Manhattan School of Music Opera Theater, Triad: The Boston Choral Collective, American Opera Projects, The Holy Cross Chamber Singers, The Secret Opera, bass-baritone Matthew Burns at the Spoleto Festival USA, Boston Metro Opera, C4, the Society for New Music, and the Young New Yorker's Chorus, among others. Jason Kim is a Korean-born dramatist based in New York City. His immersive musical KPOP recently completed a critically acclaimed sold-out run at Ars Nova Theater. American Opera Projects' Composers & the Voice is a two-year fellowship for composers and librettists which provides experience working collaboratively with singers on writing for the voice and opera stage. This free training includes a year of working with the company's resident ensemble of singers and artistic team, followed by a year of continued promotion and development through AOP and its strategic partnerships. Launched in 2002, C&V has fostered the development of sixty-three composers & librettists. Alumni works that went through AOP's opera development program and continued to a world premiere include Love/Hate (ODC/San Francisco Opera 2012, Jack Perla), Paul's Case (UrbanArias 2013, Gregory Spears), and The Scarlet Ibis (Prototype 2015, Stefan Weisman). AOP's C&V program is generously supported by a multi-year award from The Andrew W. Mellon Foundation. The Bronx Opera will perform a pair of operas in 2018 for its 51st season. They open their season with Mozart's beloved comic gem, The Abduction from the Seraglio (January 12, 13, 14, 15); and Carl Maria von Weber's Der Freischütz, the opera that most successfully established the German romantic opera style (May 5, 6, 12, 13). This will be BxO's fifth presentation of The Abduction from the Seraglio and their fourth of Der Freischütz. Each production will be performed in the Bronx, at Lehman College's Lovinger Theatre, and both operas will be performed in English. The second-oldest continually presenting opera company in New York, the Bronx Opera has become a cultural staple of the city and the borough, supplementing its full productions with concerts and community outreach initiatives to many of the underserved communities in the Bronx. In addition to their two productions, they will also present condensed versions of each opera for children, through their Opera-in-the-Schools program. Furthermore, the season marks an exciting update with regards to Bronx Opera's administration: the Board of Directors has appointed Benjamin Spierman as General Director, leading the company alongside his father, co-founder and Artistic Director Michael Spierman. The Secret Garden runs from December 6 - 24, 2017 and will perform at the Gateway Theatre (formerly the Eureka Theatre), San Francisco, CA. The press opening will take place on Saturday, December 9 at 6:00 p.m. Tickets range from $25 - $76 and can be purchased through the Box Office at (415) 255-8207 or online at www.42ndstmoon.org. American Opera Projects: Giving you more new operas. five premiere productions in 2018. Each year, at the peak of its frigid winter, Winnipeg transforms into an oasis of the most inspiring, adventurous, and riveting music of our time. The Winnipeg Symphony Orchestra's New Music Festival presents its 27th season from January 27 through February 2, 2018, reveling in the music of today, inspiring artists and igniting abundant audiences of all ages. The week-long internationally-acclaimed celebration of creativity is known for bringing together the biggest luminaries in the music and art world – such as Steve Reich, Jim Jarmusch, Dame Evelyn Glennie, and John Corigliano, to name just a few – to explore, debate, and discover. And concert attendance of over 7,000 makes it one of the best attended new music festivals in the world. WSO Artistic Director Alexander Mickelthwate anticipates, "This year will be nothing short of extraordinary, as we bring you the most famous minimalist composer worldwide, the most beautiful Icelandic soundscapes, the most iconic Canadian visual artist, and the most energetic new talent you can imagine." The Winnipeg New Music Festival is thrilled to have iconic American composer Philip Glass in residence as composer and performer. The Festival presents the world premiere of Glass's String Quartet No. 8 with the JACK Quartet – deemed "superheroes of the new music world" by The Boston Globe – as well as the Canadian premiere of the composer's Symphony No. 11 (2017). 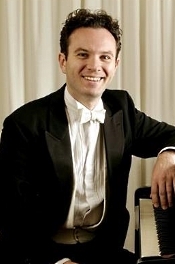 Glass will also be among the stellar pianists in an evening of his complete Piano Etudes. "Seeing the work of two decades compressed into an evening [of Piano Etudes] was immensely satisfying, as America's greatest living composer stakes his claim for immortality," said The Guardian. Another evening, devoted to choral works, presents excerpts from several of Glass's operas. Coming off his 80th birthday season, celebrated worldwide with tributes, premieres, and performances at Carnegie Hall, in San Francisco, in London (UK), and elsewhere, as well as several new recordings, Philip Glass continues to expand his extraordinary and unprecedented impact upon the musical and intellectual life of his times. Experience this holiday favorite in all its historically-informed glory as Handel master Nicholas McGegan and America's leading period instrument Orchestra and Chorale perform with an international cast of stars. Don't miss PBO's Messiah in Berkeley, CA, Rohnert Park, CA, and for the first time in seven years, in San Francisco, too. Celebrate the San Francisco performance with us and save 30% off single ticket prices from now through December 3rd at midnight. SF Girls Chorus Presents "Greetings from All Seasons"
San Francisco Girls Chorus presents "Greetings from All Seasons!" December 18, 7:30pm at Davies Symphony Hall. A celebrated annual tradition, this year's concert will celebrate holiday traditions of multiple faiths with a selection of festive music from across the world. Music Director and Principal Conductor Valérie Sainte-Agathe will lead the combined forces of nearly 300 choristers and various featured guest artists including soprano and SFGC alumnae Michele Kennedy ('95). The program is highlighted by two world premiere works by Richard Danielpour and Eric Banks. George Gemora Hernandez: Arrangement of "Pasko Na Naman!" David Conte: Arrangement of "La Llorona"